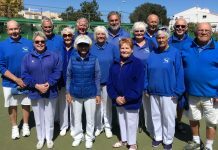 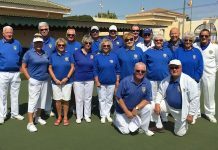 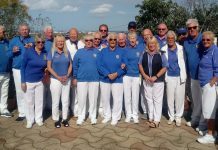 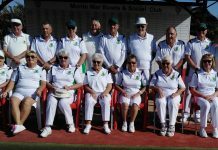 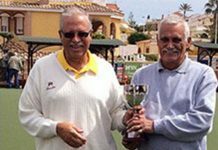 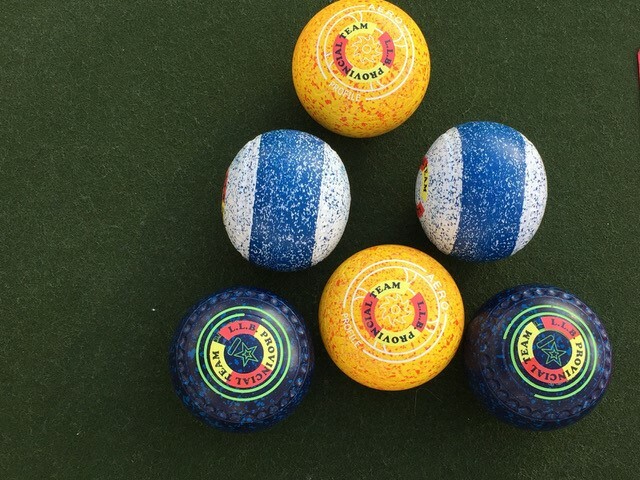 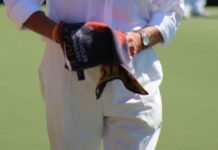 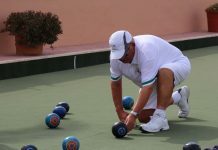 Calpe Bowls Club welcomed the Provincials to their bowling green on Saturday for their annual visit. 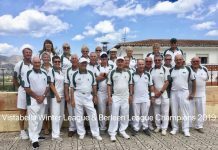 With members from the Quesada BC, Vistabella BC, San Luis BC, San Miguel BC, Bonalba BC, Finca Guila BC and Java BC representing the Provincials. 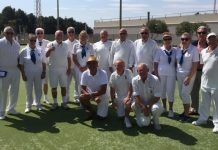 The matches were played in glorious sunshine and viewed by many spectators who were out enjoying the fine weather and strolling on Calpe’s Playa Levante promenade. 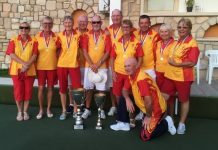 The overall points result did literally go down to the wire with Calpe taking points on the last ends of the last two rinks to win by 68 points to 64. 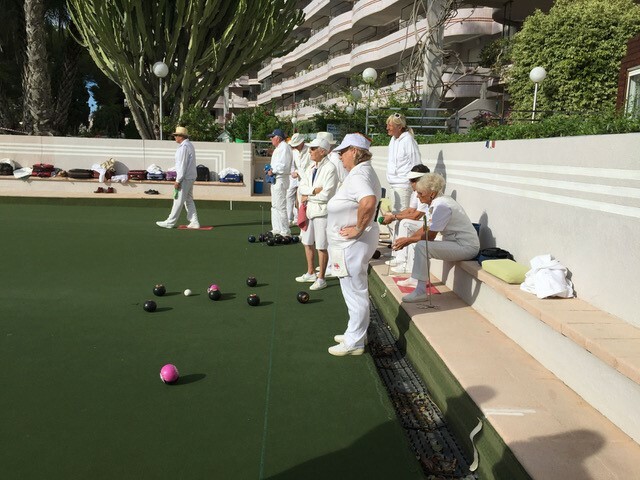 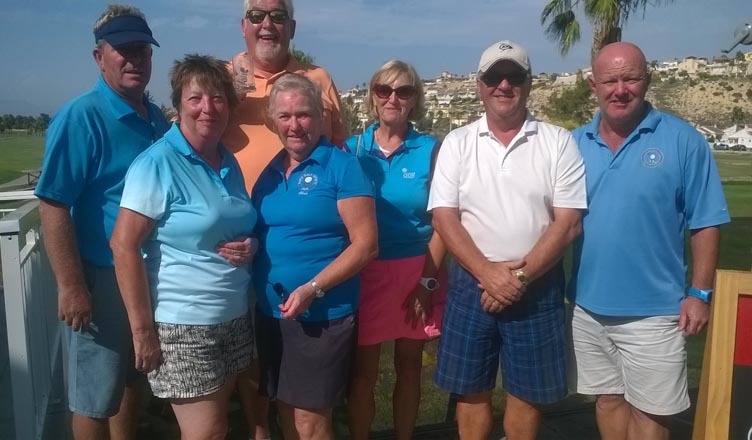 The two Provincial ladies rinks winning by 39 points to 28 and the two Calpe mens rinks winning by 40 points to 25. 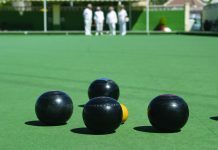 Jokingly, at the after dinner speech Alan, the captain of the Provincials, pointed out that the rules had recently changed and that the Provincials had won by three rinks to one.